Although there have been efforts to make health insurance more affordable for Americans, many people know that insurance companies have found a way to cope with these efforts. In order to offer “affordable” plans, health insurance providers now attach sky-high deductibles to their options or offer low-deductible plans that come with hidden limitations. So, you could be paying for health insurance every month, but if you never reach your deductible, you’ll end up paying out of pocket for most of your medical expenses, anyway. Alternatively, you could pay for a low-deductible plan that still comes with plenty of co-pays or fine print. Even if you do reach your deductible amount, you’ll feel the stress and strain on your wallet. In these situations, opting to pay out of pocket for routine medical expenses, like lab testing for health issues, just makes financial sense. Flex Spending: Do I Need It? 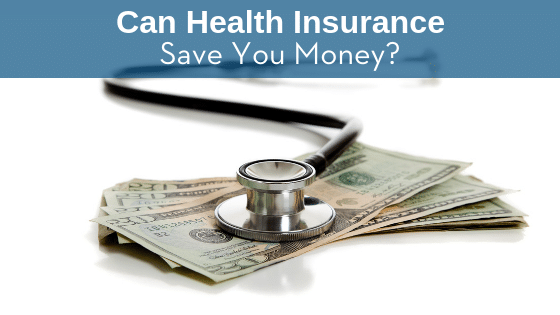 Does your health insurance plan offer a Health Savings Account (HSA) or a Flex Spending Account (FSA)? These plans might seem like a good way to save money and plan ahead for medical costs. However, keep in mind that once you put money in your HSA or FSA, you have to use it or it’s lost forever. You run the risk of wasting your funds. You may be tempted to go to the doctor and pay for services you don’t really need in order to use up the money you’ve set aside. If you opt out of health insurance, you will only pay for the services that are medically necessary, and none of your hard-earned money will go to waste. Another issue with shopping for health insurance is that a less-costly plan might mean that your favorite doctors are now out-of-network. Eventually, you’ll have to switch to new healthcare providers or pay the fee for out-of-network services. You may also have to deal with higher co-pays that aren’t in the budget. Moving to a new doctor can also come with a whole new set of fees. Test Smartly Labs proudly offers a cost-effective alternative to health insurance. We provide affordable elective testing, the same lab tests that are done in your doctor’s office, for a fraction of the price and no insurance needed. To save money on lab testing, call Test Smartly Labs today at (816) 800-9699.